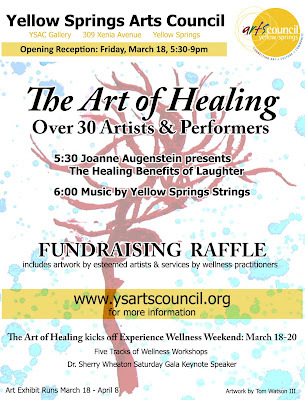 YS Arts Council presents "The Art of Healing," a one-month gallery show with an opening reception at the YSAC Gallery, 309 Xenia Avenue, on Friday, March 18, 5:30-9 p.m. as part of the monthly Third Friday Fling. The exhibit features more than 30 regional artists and performers honoring the healing power of creative expression. 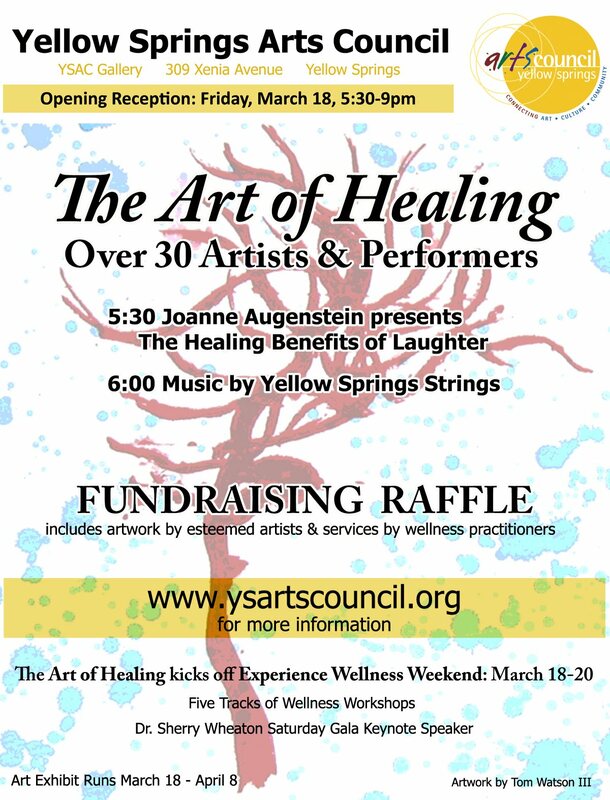 Guest speaker and laughter therapist Joanne Augenstein will start the evening with "The Healing Benefits of Laughter" at 5:30 p.m. followed by music by Yellow Springs Strings, directed by Shirley Mullins. A fundraiser will accompany the show with raffled artwork by esteemed artists such as Corrine Bayraktaroglu, Tom Watson III, and Libby Rudolf, and services by wellness practitioners. The reception is free and open to the public and kicks off the YSAC Experience Wellness Weekend. A weekend of wellness activities and workshops will follow. For more information, go to http://www.yellow-springs-experience.org.